Are eReaders "Greener" Than Traditional Paper Books? We've seen companies, households and individuals go green. We're not talking about being green with envy. The term "green" has been used to describe efforts to be more environmentally friendly. In the past few years, I have tried to go green. I now recycle at home. It has become especially important since I work from home. I now hate the thought of throwing a single piece of paper away. I recycle everything I possibly can. It makes me feel good to do my part to take care of our earth. Even though I have gone green, I still enjoy paper books. Of course, the books I enjoy are made from trees. Some think that eReaders are a greener option for reading. Maybe. Maybe not. 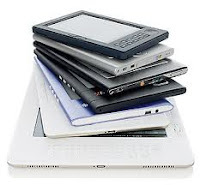 We need not consider only the trees that are used to make the paper versus the electronic product, but we also must consider the energy needed to recycle the eReaders. What happens to the parts that are non-recyclable? Based on my research, the conclusion is that unless you’re a fast and furious reader, the energy required to manufacture and then dispose of an eReader is probably greater than what’s needed to make a traditional book. If you’re reading 40 or more books per year on your eReader, that might be the right choice. But if you use it only occasionally, it's probably better to stick to a traditional book. For more information on this topic, visit Sierra Club. Sierra Club Green Home was developed with a simple mission - to help Americans make their homes more energy efficient, environmentally sustainable and healthy. The word "eBook" barely existed over a decade ago. Now it is part of our common vernacular. eBooks have actually been around for quite some time on the internet. 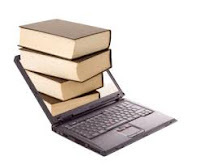 Early eBooks were generally written for specialty areas such as technical manuals. They were originally intended to be shared among small groups. I remember those days. I used to work for an IT company and I had the privilege of writing a few technical manuals. Times have changed. Major publishing companies began to take notice of the eBook movement around 2001. Over the past ten years, eBooks have become increasingly popular. This month, The New York Times began including eBooks on the Best Sellers list. A Google search of the term "eBook" generated over 193 million results. I don't think that anyone could have predicted how vast the eBook market would become. Because of the popularity of eBooks, special eReaders hit the market. The most popular seem to be Amazon's Kindle and the Nook by Barnes & Noble. In July 2010, Amazon reported that eBook sales for the Kindle surpassed sales of hardcover books. Some think that paper books are going to become a thing of the past. I'm not convinced of that. I still prefer to have a real book in my hand with pages that I can physically turn. I think that there are pros and cons to using eReaders. I can see the benefit in some circumstances, but not all. I've read my share of eBooks on my laptop. I don't currently own an eReader. However, I plan to purchase an iPad in the near future and I look forward to reading books and magazines on it. People often ask me how the eBook market has affected my business. So far, it has not had a negative impact. However, I see the importance of keeping up with the times. I firmly believe - "if you can't be 'em, join 'em." I expect eBooks to continue to increase in popularity, so I intend to get my slice of the eBook pie in the future. BlackBookReview.com (a division of The Quality Corner) is pleased to offer its customers an additional way to promote book sales. A book trailer is like a movie trailer, but for a book. It gives the viewer a visual synopsis of the book and leaves them wanting more. Trailers are becoming increasingly popular. It is a great way to market a book. The video can be an excellent addition to your other marketing tools such as press releases. Video marketing will help your book stand out in the crowd. BlackBookReview.com uses an exclusive voice over team to create quality videos. The videos range from 45 seconds to 3 minutes. We can create the script for you or we can use the script you provide. Click here to view sample trailers. Detailed product information and pricing can be found at www.blackbookreview.com. We look forward to providing quality trailers and as always, quality service. A shy, introverted woman marries a charismatic, well-liked man. He sweeps her off her feet and captivates her with his charm. His magnetic personality attracts everyone around him. She feels so privileged to be with him. This is the setting of Anna Christian’s new novel, Daniel’s Wife. At first, it might sound like an ordinary love story. However, this novel is everything but ordinary. It is an inspiring story of triumph and self-discovery. Jessica Weaver is Daniel’s wife. She has allowed her life to revolve around her husband. He is a successful businessman and he provides a comfortable life for them. He doesn’t like to stay in one place for long, so she consents to relocate frequently. Jessica desires children, a home and more stability. Daniel has a different agenda. They end up in the small town of Judson Springs. Jessica doesn’t love the town, but she makes the best of it as she always does. Jessica is stunned when she finds out that her life will never be the same. Daniel left her and she must make her own way. She has been so accustomed to depending on him, she feels lost. Our lives don’t always turn out the way we expect. We must learn to adapt. Jessica had to learn that lesson the hard way. Forced to stare reality in the face, she began to pick up the pieces. I enjoyed reading about how she pulled her life together. She found employment, became active in the community and she developed friendships. I always marvel at how authors can paint a clear picture of a character. With my mind’s eye, I was able to see Jessica, feel her pain and sympathize with her plight. This novel captured my attention from the first page. The unexpected twists and turns made it hard for me to put this book down. Anna Christian is the author of four books. She is a freelance writer, blogger, and educator. She is the recipient of the 1999 Research and Status of Black Women in the Arts award from the Southern California Conference Branch, Women's Missionary Society of the AME Church. Daniel’s Wife is Christian’s first adult novel. She truly is a talented writer and I look forward to her next book. 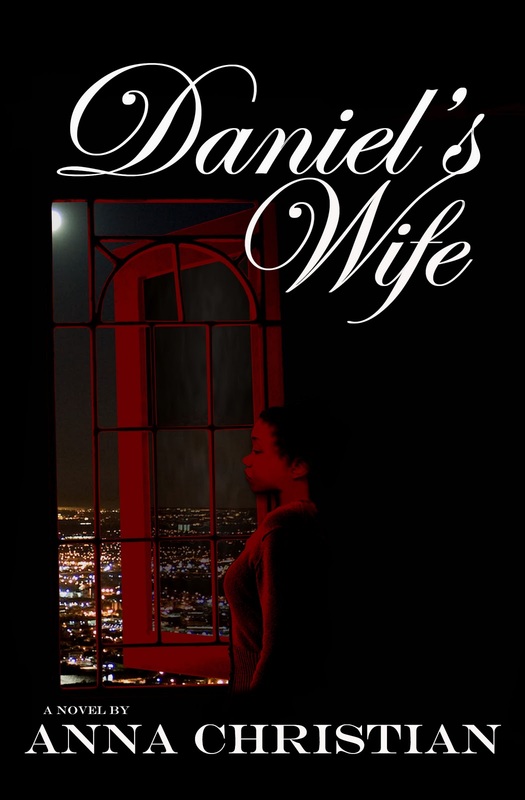 All who read Daniel’s Wife will be entertained and uplifted.